When you bought your carpets and upholstery, they were probably advertised as “stain resistant”, and that was probably a legitimate claim. Many carpets and pieces of upholstered furniture are treated with compounds that prevent stains from sticking to them, making them easier to clean. Unfortunately, these stain resistant treatments lose effectiveness over time. If you want your carpet to remain resistant to stains, you need to apply a carpet protectant. Elkhart Carpet Care offers carpet protectant treatments for carpets made from a variety of materials. Carpet protectants work by coating the fibers of your carpet so that spilled liquids penetrate the carpet fibers less quickly, meaning that you have a chance to clean up the spill before a stain can set in. 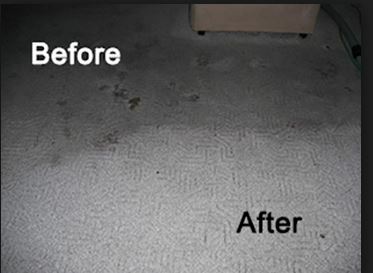 The chemicals used in our carpet protectant treatments will not change the appearance or feel of your carpet. The only difference is that your carpet will not stain as easily as before, but it will be as easy to clean as it was when you bought it. Carpet protectants can greatly increase the lifespan of a carpet. Businesses where thousands of people walk on the carpet each day would normally have to replace their carpets frequently, but with carpet protection from Elkhart Carpet Care, we can save your business money by making the carpets last a long time. Even carpets that have been treated with protectant and carpets that are fairly new can benefit from our carpet sanitizer cleaning packages. Our sanitizer treatments remove odors from carpets and remove pet hairs and dust and dirt particles so that your carpets look bright instead of dingy. Having your carpets sanitized is an easy way for you to have a healthier home. Sanitizing your carpet removes bacteria and allergens. Common allergens that can sink into a carpet include pollen, animal dander (people who say they are allergic to dogs or cats are actually allergic to their dander, not their hair), and dust mites. Having a professional carpet sanitizer cleaning can remove more than 98% of the allergens from your carpet, reducing the amount of allergens in the room by more than 80%. If you suffer from allergies, then a thorough sanitizer treatment from Elkhart Pet Care can be a great relief. Our sanitizer treatments use deodorizers which remove the source of odors so that we can completely eliminate them and not just cover them up. If you have pets and your carpets smell like their hair and even pet urine, you might think that your only choice is to replace them, but our sanitizer treatments can make them look and smell brand new. Elkhart Carpet Care is a locally owned business. We believe in doing an honest job to help our local community. We always charge fair prices, and we will never try to up-sell or pressure you to buy products and services you do not really need. 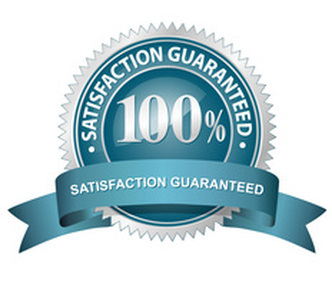 We value our good reputation, so we are always careful to provide just the services that you ask for. We hope that you will be pleased with our services and recommend us to your friends.